Patients Can Pay A High Price For ER Convenience : Shots - Health News Free-standing emergency rooms, separate from hospitals, are popping up across the country. Many look like urgent-care centers, but the ERs charge much more. Many consumers don't realize the difference until they get the bill. Medical entrepreneurs are remaking the emergency room experience. They're pulling the emergency room out of the hospital and planting it in the strip mall. It's called a "free-standing ER," and some 400 of them have opened across the country in the past four years. The trend is hot around Houston, where there are already 41 free-standing ERs and 10 more in the works. "I think these emergency medical centers are springing up like Texas wildflowers in the springtime," says Vivian Ho, a health economist at Rice University in Houston. "It's really amazing." Some of the new facilities are owned by hospitals, but the majority are owned by for-profit companies. Ho says they may offer excellent care, but they're also chasing profits. "They are usually set up in places where there are high-income patients who are well-insured and who want to see someone quickly," says Ho. They're not being built in poor neighborhoods, rural communities or areas with lots of uninsured people. Patients like Lisa Boncler love how accessible they are. She came to the Texas Emergency Center in the affluent Houston suburb of Atascocita to get stitches on her scalp after she gashed her head on a gate handle. "This is not the first time I've been in here," says Boncler, who has a choice of six different ERs, two based at hospitals and four free-standing, like Texas Emergency Center. "It's always fast [and] I don't feel like I'm picking up 1,000 germs." The waiting room, furnished with brown leather armchairs and a coffee station worthy of a spa, is empty because patients are usually seen right away. But Texas Emergency Center is a real emergency room. It's licensed by the state and staffed around the clock by a doctor and a nurse. "We're a service to the community. We give them back the most valuable thing: time," says Terri Hardy, who is chief of clinical operations for Texas Emergency Center. "They come here and we see them immediately. We perform the same labs, the same X-rays, the same CAT scans, the same ultrasounds. ... It's convenience." Free-standing ERs can make a lot of money because they charge ER prices. A visit that might have cost $200 at an urgent-care center can cost four or five times as much at an ER. Bills are just like at the hospital ER — you pay for the treatment, the doctor's fee and something called a facility fee. That fee is for all the overhead, including expensive equipment like the CAT scanner and the lab. Patients are sometimes shocked when they get the bill. Steve Henderson, 41, lives in Spring, a suburb north of Houston. He woke up one morning in March with back spasms so bad he could barely walk. He dragged himself to his car and drove to what he thought was an urgent-care facility. The sign did say emergency, but it just didn't look like an ER. "My idea of an emergency room is attached to a hospital with crash carts and cardiac arrest and car wreck victims and all that stuff," he says. He says the place he went looked like "your friendly neighborhood doc-in-a-box" in a shopping center with a doughnut shop across the street. Henderson got a shot in his back, a prescription and, later, a bill for $1,200 — $900 of that for the facility fee. "I knew there'd be some kind of fee for this place. But $900 for just walking in the door is outrageous," says Henderson, who is insured but hadn't met his deductible. He was on the hook for the whole fee. Similar consumer complaints can be found online and on file at the Better Business Bureau. Insurance companies are also pushing back. 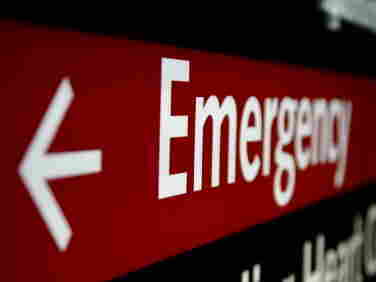 By law, they must cover emergency room visits, even if the ER isn't in their network. "For these free-standing ERs, we've seen our dollars and visits just about double over the past year," says Shara McClure, a vice president for Blue Cross Blue Shield of Texas. "While ER is a choice, it's a high-cost choice and it's one that can cost five to seven times more than a typical office visit." But standalone-ER executives emphasize they treat real emergencies all the time. "The problem with urgent care is if you're having something serious, you go there [and] they either call 911 or they send you to the emergency department," says Brian Orsak, co-founder of St. Michael's Emergency Rooms, which has three locations in Houston. "We're equipped basically to handle anything." Some states have tougher regulations for free-standing ERs, like requiring them to be part of a hospital system. And some insurance companies have sued over the facility fees or persuaded the ERs to sign contracts and accept lower payments. For now, it's up to the medical consumer to figure out where to go for the right level of care at the right price. This story is part of a reporting partnership that includes KUHF, NPR and Kaiser Health News.